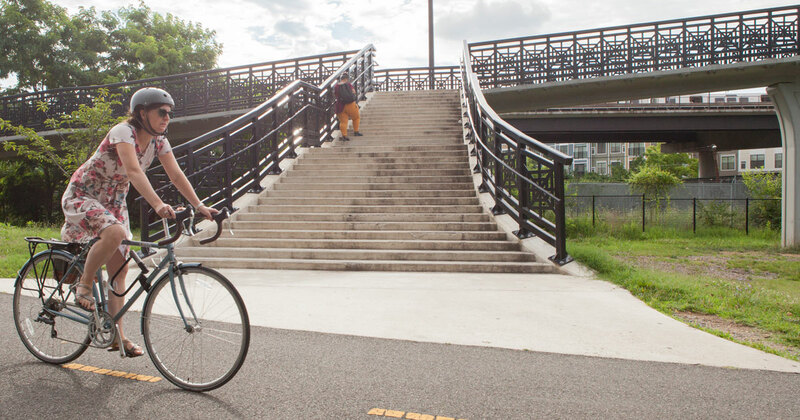 The Metropolitan Branch Trail (MBT) is a multi-phased project that, once complete, will span 8+ miles, connecting the Silver Spring Transit Center with Union Station in DC. The MBT will serve many neighborhoods along the way, and connect both directly and indirectly with other major trails in the area. A connection from the MBT to the National Mall is planned along Louisiana Avenue. 8th Street NW (Edgewood). Today, this stretch is a signed, on-street route. Plans exist to turn this portion into trail more than 25 years from now (beyond the scope of the Capital Trails Coalition’s timeline). John McCormack Drive NE to First Place NE. This section parallels the train tracks and passes through Fort Circle Parks by the Fort Totten Metro Station. DDOT broke ground on this trail segment in July 2018. Galloway Street NE and Gallatin Street NE. Heading east from Fort Totten, this segment would serve as an east/west route along Galloway and Gallatin Streets NE to DC’s northeast border with Maryland. Here, the segment would connect with the planned Prince George’s County Connector through Avondale Park. 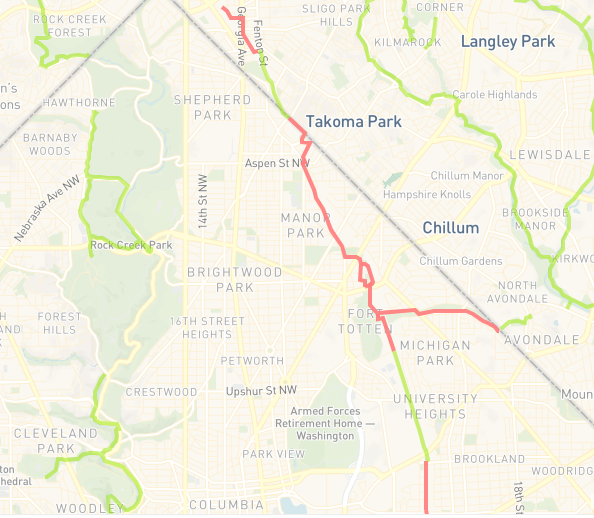 Fort Totten to existing segment in Takoma. This segment is still in the design phase. This portion will include an off-street, multi-use trail along Blair Road NW. This would also pass through NPS-owned Fort Circle Parks, continuing north from Riggs Road NW to connect with McDonald Place NE. King Street terminus to Silver Spring Transit Center. The MBT’s current northern terminus at King Street in Silver Spring would be extended to the Silver Spring Transit Center. The trail will parallel the train tracks on the northeast side to terminate at Silver Spring Transit Center. 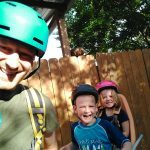 Where is this project in the trail network? The incomplete segments of the Metropolitan Branch Trail are highlighted in red. Click below to view the interactive web map. For more information on the Metropolitan Branch Trail’s development, visit the District Department of Transportation’s trail project website. 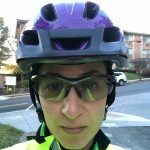 Who supports the Metropolitan Branch Trail?